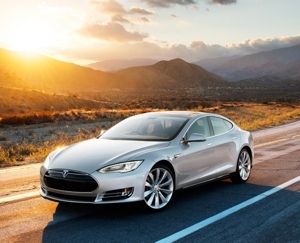 Tesla's Model S could be 90% self-driven by 2016. Without a doubt, 2016 is a very aggressive target for something as complex as self-driving cars. Musk, however, has his own vision that’s slightly different than similar technology being worked on by Google. “My opinion is it’s a bridge too far to go to fully autonomous cars,” explains Musk. Instead, Musk’s Tesla is focusing on an auto-pilot-like technology where cars are mostly automatic, but require driver input for certain situations. That slight difference could speed up development and reduce the carmaker’s liability for accidents – a major concern for its competitors. Tesla, of course, isn’t the only company working on self-driving technology. But Musk’s estimate of three years until completion puts his company on a faster pace to market than its competitors. Google estimates its technology will be available to consumers in 3 to 5 years. And just last month, Nissan announced it would begin selling self-driving cars by the year 2020.